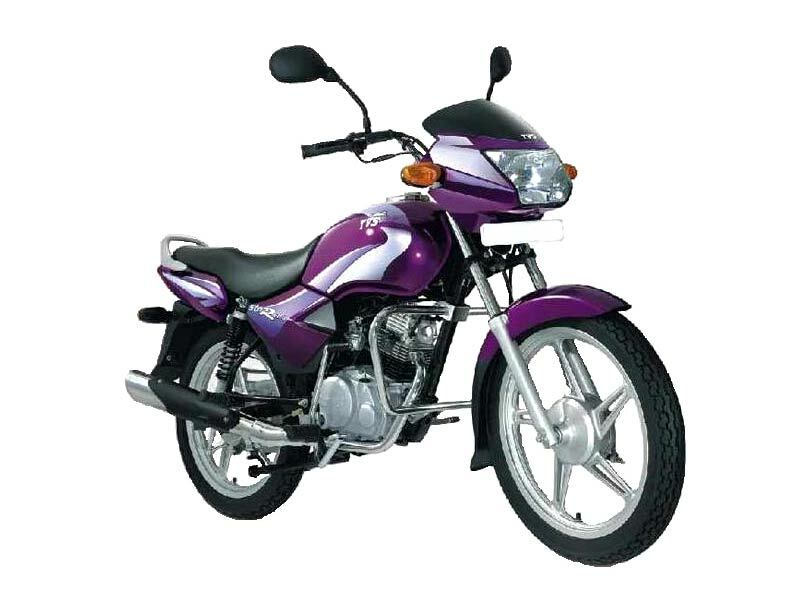 TVS launched its new age bike called TVS Star City known for its decent and smooth handling ability like other bikes from the company in this segment. Riders of the Star City can adjust the rear shock absorber through a convenient lever without requiring additional tools. The Star City sports the aerodynamic shape, front faring, new-age graphics, sporty silencer and Roller Cam Follower (RCF) technology for improved mileage. 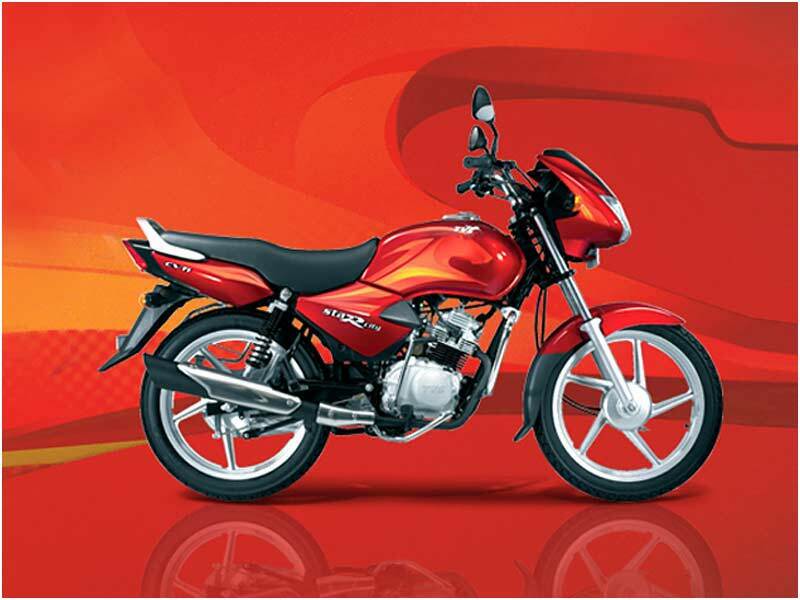 The bike gives the option of electric start, kick start and electric start with alloy. TVS Star City is dependent on Charge Motion Variable Timing Intelligent (CVTI) engine. The air-fuel combustion is executed when the bike has turbulence created by the air-fuel mixture horizontally. The same features can also be seen in Bajaj XCD-Si. The Engine is sturdy and it produces 7.5bhp at 7500rpm. A few important changes have been done to the 4-stroke and air-cooled 109.7cc single overhead camshaft-driven motor. The gearbox internals however, remain unchanged and all up gearshifts are smooth. The new healthier exhaust note is another change made on the bike and the cable-controlled clutch enables the right ratio of progression and weight to a rider. The improved motor gives effortless handling from low speed to high gears. TVS Star City is a good-looking bike in its segment with pleasing dual tone appearance. The new bike has replaced clumsy-looking chrome metal mudguards with attractive modern plastic units. The tube metal grab handle is replaced by an alloy-made. The silencer of the Star City also gets a new look with the heat shield. The seating position on the bike is good both for the rider and the pillion. The bike comes with comprehensive switches that include a pass light switch and a push to cancel indicators. Other features include the tall trademark TVS mirrors, quality plastics and rubber parts, cool palm grips and decent control levers. Star City has a standard conventional suspension with a brace of telescopic front forks in the front and hydraulic twin shock absorbers in the rear. Braking system has been improved. It provides a mileage of around 60 kmpl even in heavy city traffic and on the highways it gives about 65 kmpl. The bright halogen-powered headlamp makes the night riding effortless. TVS has offered the Indian customers with the right stuff in consideration with the fuel economy and the contemporary look. Decent and smooth handling makes TVS Star City 110cc different from other bikes in 110cc category. 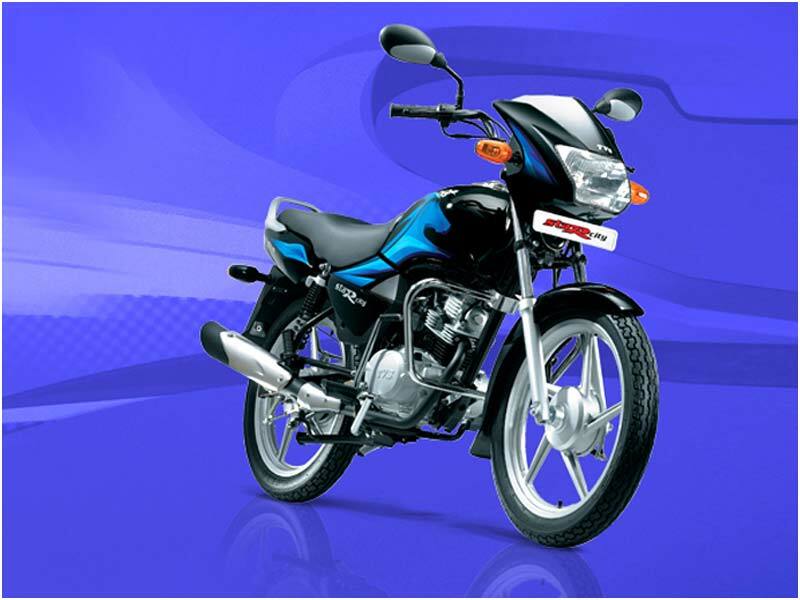 Mileage adds a star in its persona as the fuel efficient motor bike gives an excellent mileage of 70-75 kmpl. The stylish and elegant TVS Star City comes in 2 attractive colours � Red and Blue.